About a month ago, I found myself sitting in Carl Juste’s studio in Little Haiti. I was there on a walking tour of the neighborhood to plan an upcoming community-based project. Carl, who captures Miami’s stories as a photographer for the Miami Herald, explained how our city’s name is the representation of us at our best. “Mi” for “my” in Spanish and “ami” for “friend” in French. Miami means inclusion. Miami means acceptance of difference. Miami means standing next to someone who may look, act, think or talk differently than you and embracing them as a friend. Miami embraced me, a five-foot tall, half-Syrian, half-English girl with Michigan roots but Tarheel breeding, who moved here to teach 5th grade in Liberty City and Overtown through Teach for America. Having studied international relations, I wanted to immerse myself in as diverse of a community as possible. Miami couldn’t have been a better choice and, in 2006, the city welcomed me. 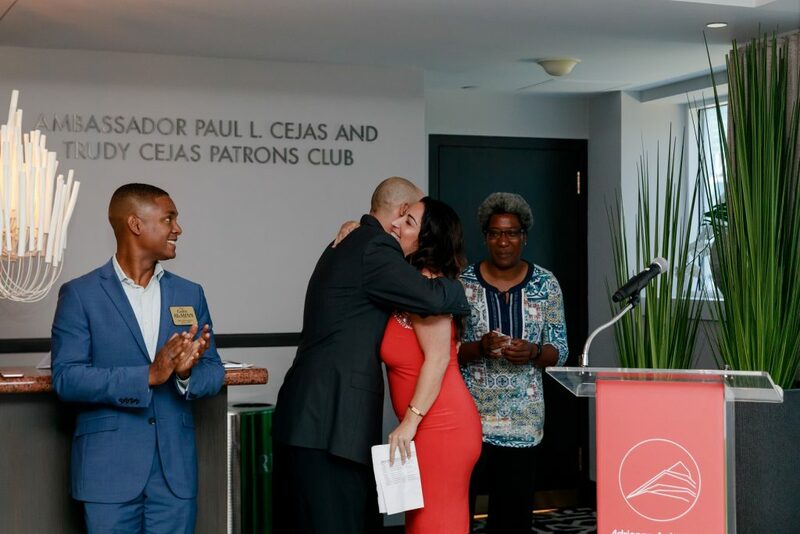 Pictured above: Foundation president and CEO Javier Alberto Soto hugs Michelle Abbs after she finishes speaking at the Miami Fellows Class IX closing reception. Like our city’s name, my experience in The Miami Foundation’s Miami Fellows leadership program was also a coming together of difference. 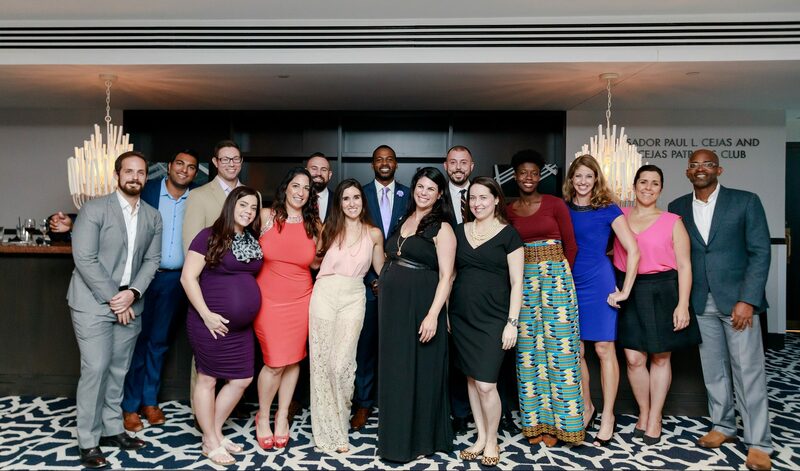 The Fellows program takes community leaders who share a love and passion for helping Miami become the best representation of our namesake. The program welcomed me into Class IX. We were a group of 17 individuals from all walks of life, a variety of industries and cultural roots. Some of us identified with the Spanish origin of our city’s name, some with the French side and others, like myself, with a bit of everything. We came together as environmentalists, urban planners, nonprofit leaders, parents and triathletes. Throughout our 14-month-long journey, we got to know one another and examined what we know about ourselves, our leadership styles, our values and personalities. We became collaborative project planners, empathic and self-aware leaders, and a support network for each other. When I completed the program in June, I felt a sense of urgency and desire to address these. There are more than 100 Miami Fellows alumni. That’s 100+ change agents who represent all levels of difference and diversity in Miami who are ready to step up to the plate to run for office, lead key local initiatives and hold influential roles impacting the lives of our community. I’m glad to work with the Foundation to unite changemakers by launching an alumni network. Michelle Abbs, Miami Fellows Class IX alum, is regional director of Up2UsSports’ Miami branch.